I do believe this series of earrings which I've put up as Christmas gift ideas have hit the nail on the head in view of the numerous requests for more of the same. Whilst I will be doing up other items for Christmas, this series follows thru' from a custom request. 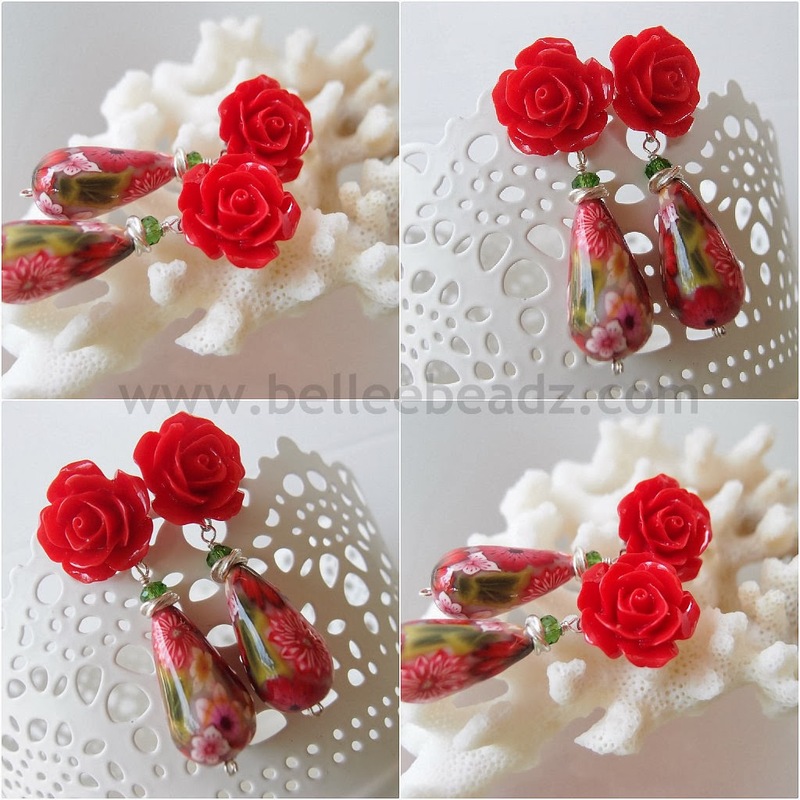 Really fun to play around with the resin flowers and match them with the appropriate beads. This set is very X'Massy.....green and red and features an elongated polymer clay brio, a green quartz rondelle and a poppy red large resin rose.